Hi friends! Today I have a super fun post to share with you! 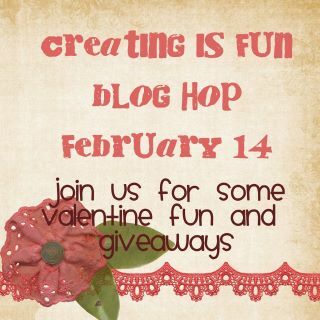 Creating is Fun is having a blog hop and there are PRIZES ON EVERY SINGLE STOP! What?! That's crazy! 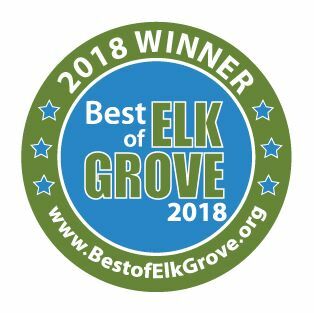 Not only that but there's one GRAND PRIZE of a $25 gift certificate the the store! Holy smokes! I wish I could win! If you are here from Carissa's Blog, then you are in the right place. To start the hop go to Martha's Blog. You don't wanna miss a single stop because EVERY SINGLE person has a prize! Woot! Martha has the whole list on her blog so if you get lost, you can head back there. Here's my card for this hop. I used a bunch of products from my Valentine's DT kit that Martha sent me. 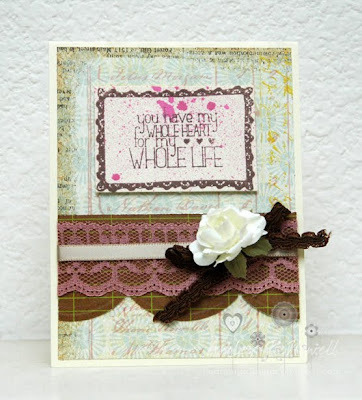 The flower, lace, ribbon and trims are all from the Creating is Fun Store. The paper is Pink Paislee Sweetness, the stamp is My Mind's Eye, and the mist is from Tattered Angels. GIVEAWAY! I'm giving away ONE ITEM of the winner's choice for this hop. 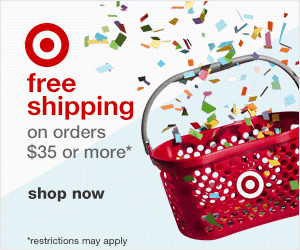 Just leave a comment to win! And don't forget the WHOLE design team has prizes on their blogs. Leave a comment on each post to win and to be entered for the GRAND PRIZE! Next up on the hop is MARIA! really pretty! Love your layers with the ribbon and trim. I love love your card! Very cute card Ashley! I love what you did, everything fits together nicely. Ashley you card is just perfect. I love all the texture and the colors. i really love this card, and that sentiment. So many fun ribbons/trims. Thanks! Lovely card Ashley! It looks fabulous! Stunning! Love that sentiment Ashley! Beautiful! I love this sentiment! Beautiful card! Love the layering, cut card! this is so pretty! love the splashed background on the sentiment piece. I love that card, I love anything lacey. Gorgeous card. Love the sentiment.